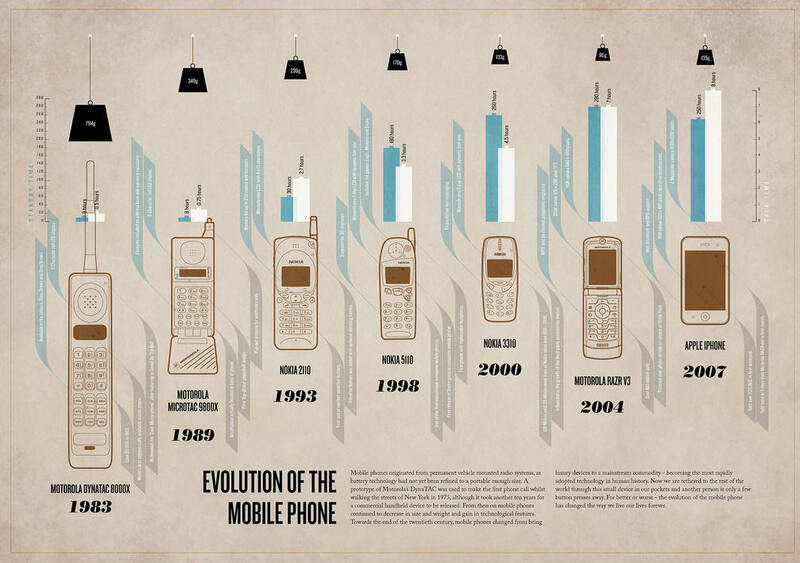 I found evolution of the mobile phone information design. The colours orange and blue are bright and contrast easy other while linking important aspects together. The images of the phones are simple, however effective as they do not complicate the design, with over illustration, impairing the viewer from understanding the information.